We are Sullivan County’s only solar and wind powered organic farm, offering farm vacations and interactive, educational programs for adults and children. We follow many green practices: solar and wind power for electricity (meeting 90% of our energy needs), compost of household and farm waste, humane treatment of animals, water conservation, no chemical pesticides or herbicides. We delight in talking with guests about climate change, how each of us can make a difference in building sustainable communities. Stay in our 4 bedroom guest house. 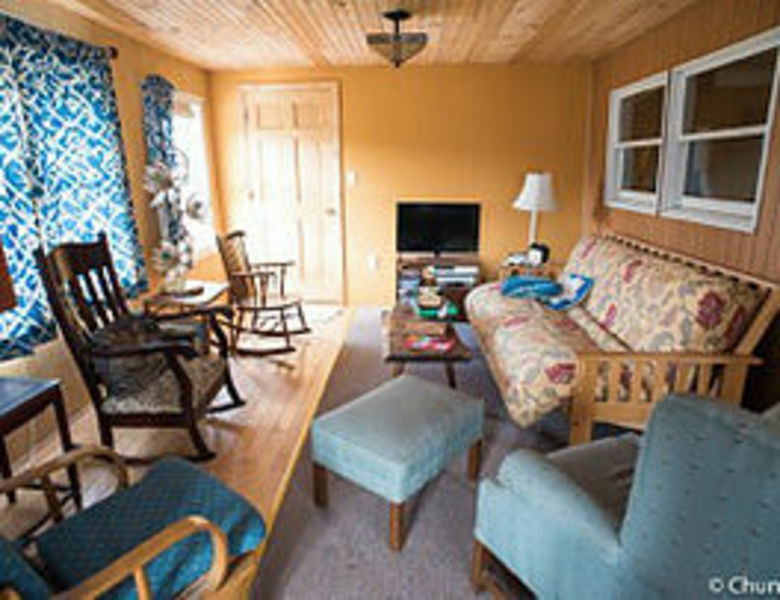 Our guest house is available year round. Big enough for 2 small families, child friendly. Cook your own meals in a well equipped kitchen. Help with farm chores. Organic vegetables and wool yarn for sale. Workshops on request: learn to make goat cheese, spin and dye wool, raise vegetables, meat, eggs. Dogs welcome. Take a tour of our 80 acre organic wind and sun powered farm. Private tours are available from April to October. Meet and learn about our sheep, goats, chickens and horses. Examine our diverse organic garden. Geared for adults and children – this is a unique opportunity to talk with farmers and appreciate the challenges of small scale farming. Reservations required. Beginning cheese making (“A Lotta Ricotta”) and wool spinning classes offered throughout the year. “Farming with Kids” every Saturday, June – September, 10 a.m. Children do real farm work: milk a goat, feed chickens, make compost, plant and pick in our garden. Tasks vary with weather and season. Reservations not needed. Birthday parties, Scout groups, summer camp groups welcome. Reservations necessary for these groups. The farm store carries hand spun and dyed wool skeins, washable tanned sheepskins, knitted scarves and hats, pillows, and antique quilts. The farm store is open year round, but please call ahead.